The Libbey 400 cosmopolitan dessert glass features a flared 81⁄4-ounce bowl atop a rounded base. Made out of clear glass, this piece is ideal for serving cocktails, desserts, and even dips alongside an appetizer. The base is solid and weighted to ensure stability, and the top is flared wide to make attaching garnishes simple. 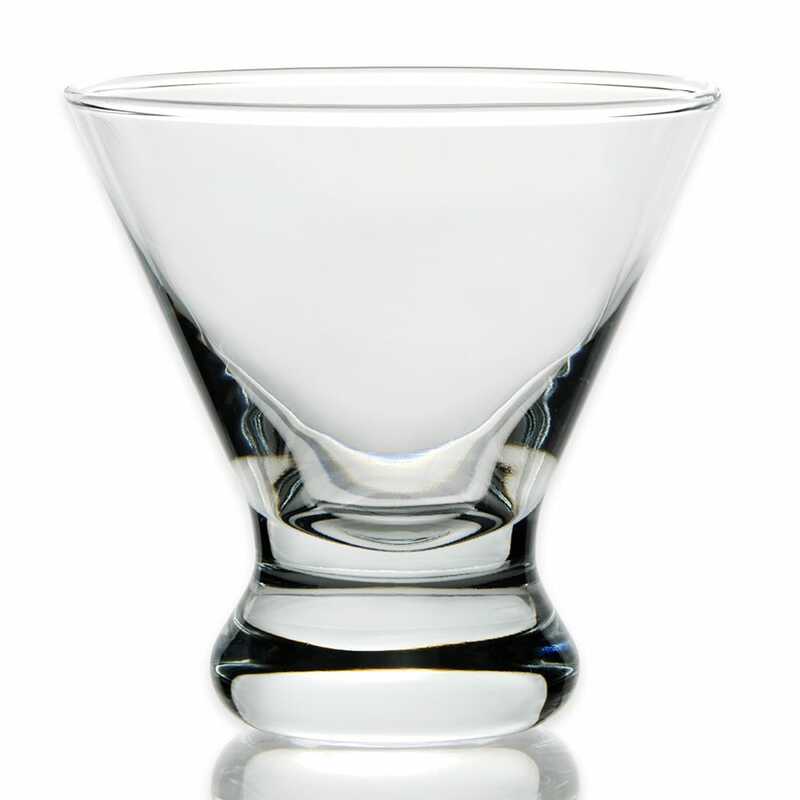 This glass is covered by the Libbey Safedge® Rim and Foot Guarantee, which means that if the rim or foot becomes chipped in the course of normal use, Libbey will either replace the glass or refund its cost. This durability also makes the glass safe to wash in a commercial dishwasher, making cleaning simple in a commercial kitchen. Overall Dimensions: 37⁄8 in. H x 4 in. top dia. x 21⁄4 in. bottom dia.